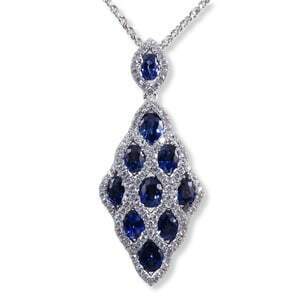 Blue sapphire pendant with 2.20 ct. of sapphire and .50 ct. of diamonds. 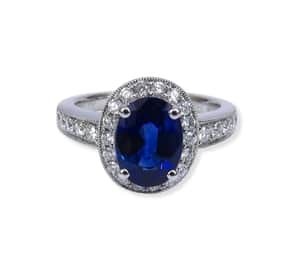 Sapphire ring with diamond in white gold. 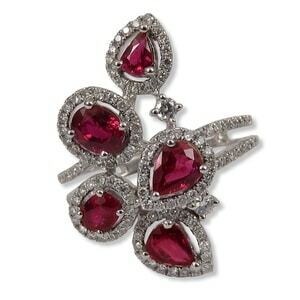 Ruby and diamond ladies fashion ring in white gold. 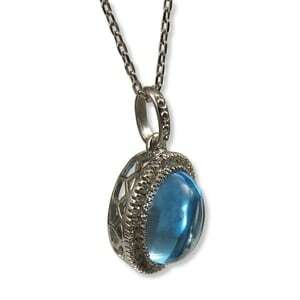 Blue topaz cabochon with diamonds in white gold. 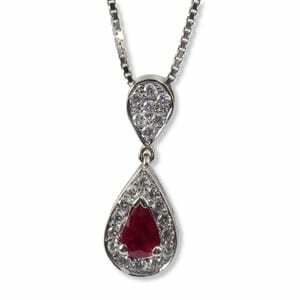 Ruby pendant with diamonds in white gold. 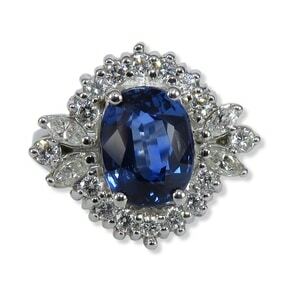 3 ct. sapphire with .71 ctw. 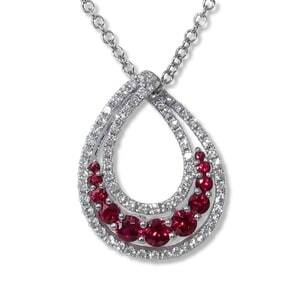 diamonds in 18K white gold.